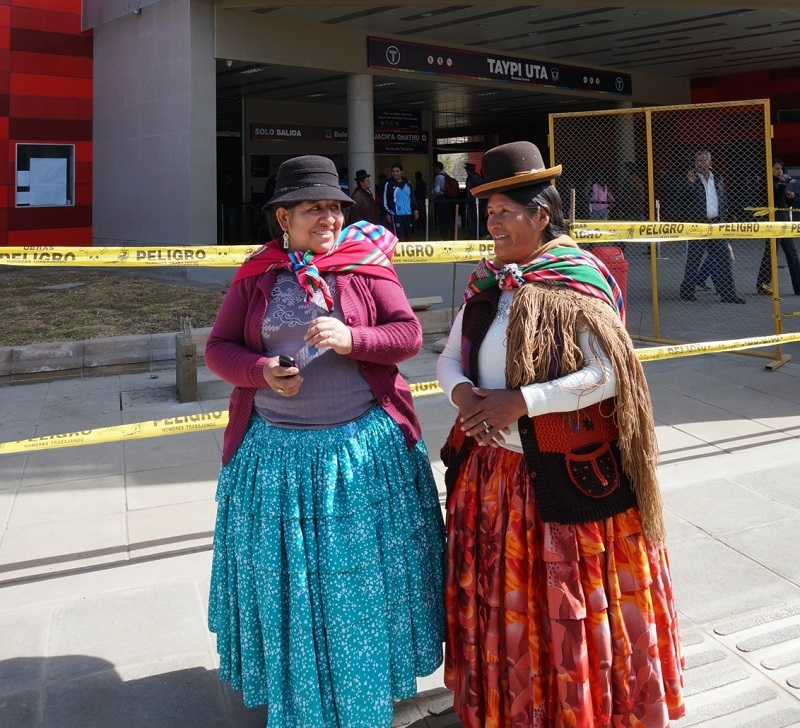 Doñas Adelaida (left) and Estela ended their first trip on the teleférico at Taypi Uta (central station in the local Aymara language). Estela found the trip “very beautiful.” Adelaida added, “and very fast! On normal transit, it would have taken us an hour or an hour and a half!” Photo by Gwen Kash.